Some of us, depending on which region of the country you reside, are already used to the occasional severe weather. Even if that is not the case, weather extremes have been an issue in nearly every corner of our country the last few years. Whenever severe weather blows through, pet owners are often faced with the burden of finding a safe place for their pets. Unfortunately, not all temporary shelters allow pets. 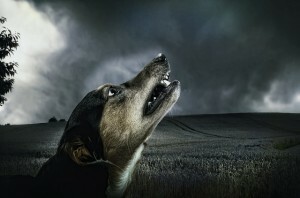 Having a disaster plan for pets in place is important for you and your pets. The organization best known for its animal rescue efforts, the ASPCA, strongly recommends that all pet owners have a disaster plan in place, in case of an unforeseen emergency. 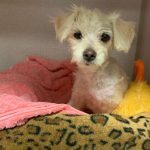 It is estimated that nearly 100,000 pets are surrendered to shelters either because their guardians have passed away or are no longer able to care for them. In some cases, when a family loses their home to a devastating hurricane or tornado, they may find themselves without any other option than to surrender their pet. The majority of U.S. citizens have pets, but far too many of those pets are eventually surrendered to shelters, and sadly, end up being euthanized. It is difficult for many shelters to find suitable homes for cats and dogs. 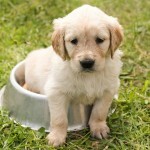 However, this sad circumstance can be avoided, simply by having a plan for your pet in place. Those of us with young children know the importance of selecting a guardian to care for those children should something happen to us. The same is true for your pets. As pets are considered to be merely property, under the law, you need more than a will to protect them. More importantly, when a disaster strikes, if you don’t have a plan for them as well, you may lose them before you need to. A disaster plan for your pets is essential, in addition to planning for your death or incapacity. You need to plan for unexpected emergencies, as best you can. One of the easiest ways to start is to keep an “animal card” in your purse or wallet. This card will provide the basic information about your pet. If you are ever involved in an accident, for instance, first responders will know that you have an animal at home, depending on your care. The card should include basic information such as your pet’s name, the type of animal, where your pet is kept and any special instructions for their care. Most importantly, you need to include an emergency contact, who can gain access to your pet in case of an emergency. First responders can then notify your emergency contact, so your pet will be taken care of until you are able to return. If you have questions regarding disaster plans, or any other pet planning needs, please contact the Schomer Law Group either online or by calling us at (301) 337-7696. 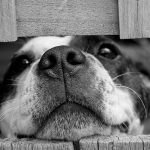 What is a Pet Trust and Why Would I Need One? Do You Need a Pet Trust for Your Family Friend?